Most of us know that women can get a contrarian reputation just by saying what they think out loud. Emmy Carlsson Evald (1857-1946) was not dismayed by this kind of resistance, however. Instead of submitting, or stifling herself, she spoke right through it so that others could express themselves and experience the power of making things happen. She was one of the most remarkable Lutheran women in American history. Augustana’s Women’s Missionary Society worked to lift up the concerns of women around the world. Working primarily within the Swedish Lutheran Augustana Synod, Emmy organized a Women’s Missionary Society in 1892, creating an active force that extended the sphere of women’s work at home to faraway places among women and children in India, China, and Africa. With her able leadership the Augustana Women’s Missionary Society continued to grow in strength and leadership clout. Organized in congregational, conference, and synodical levels, it trained women to lead meetings, speak in public, design programs, raise money, recruit members, research and write articles, and promote a cause. The successor organizations for women in the churches are built on Emmy Evald’s pioneering leadership. Emmy Evald first learned at home, where her mother was a vital force and a model for extending the resources of their parsonage home to many needy people in the bustling immigrant Chicago neighborhood around Immanuel Lutheran Church, where Emmy’s father, Erland Carlsson was the pastor. In 1870, together with her older sister Annie, Emmy left home to get an education in Sweden, where her mother and father had many friends and supporters, and where interesting innovations in women’s education were occurring. Annie and Emmy attended Mamsell Cecilia Fryxell’s Rostad [a place of rest] School, in Kalmar, Sweden. This school educated girls in a home environment, where their special gifts and capacities were nurtured through Mother Fryxell’s attentive and loving guidance. The sisters’ experience at this school was an immersion in the revival, missionary-oriented ethos of the Swedish religious movement that had shaped their father in his early youth and ministry. At Rostad, industry, order, and simplicity were the qualities each young woman was to develop. In her active adult years, Emmy and her family sought to replicate this model of home and education. Her parents created their own Rostad, giving this name to their country home outside of Lindsborg, Kansas. In 1892 the women — wives of pastors and lay delegates attending the synod meeting — met separately to organize the women’s missionary society for the Augustana Synod. Rostad was a place of inspiration that helped Emmy form a close society of women who were dedicated to advancing the Kingdom of Christ in this world. Augustana’s Women’s Missionary Society worked together to lift up the concerns of women around the world. In order to meet the increasing needs in the church’s broadening mission fields, women heard the call to become teachers, nurses, doctors, and homemakers. American women going out to the mission field needed professional training, and the existing female academies in the United States had to be retooled in order to measure up to these demands. When the Women’s Missionary Society was asked to raise the funds for a women’s dormitory at Augustana College, where a lack of suitable housing for women on campus discouraged applicants, the women set to work raising significant funds. Their ideal conception of an appropriate home for women students ran into opposition from the male-led college board of directors who locked horns with Emmy and the Society, who then responded with a petition drive and writing campaign. Thanks to that media blitz, we know what they were up against. When the women lost their battle, and the dormitory was to be constructed near an auto dump, they nevertheless fulfilled their pledge and funded an opulent, grand, and spacious building. Emmy Evald had a vision for women’s education that pointed toward service and leadership. In the schools and colleges where young women study today, the model of success is personal and individualistic; students are taught to strive to win in a competitive environment. Elements that inspired Emmy’s achievement and that she employed to create a cohesive body of women leaders are more difficult for us to achieve. Competitive models encourage change through provocation and tolerate high levels of conflict and friction. Competition leaves little time for the patient relationship building that fashions sustainable communities. Emmy’s model of education would push us to develop ways to identify and nurture personal talent and character and in this way encourage the ideals and dreams of young people. 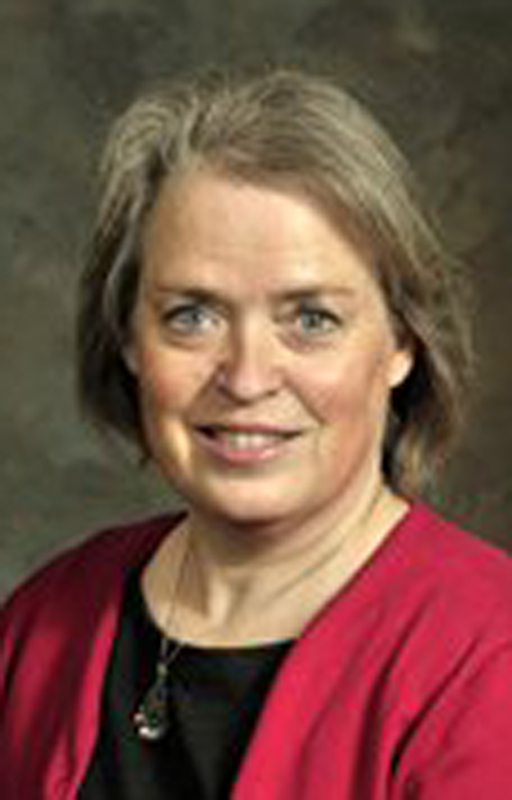 Maria Erling is professor of Modern Church History and Global Missions at Lutheran Theological Seminary at Gettysburg. UPDATE: An earlier version of this column incorrectly cited Mark Granquist as the author. He was the editor of this article.